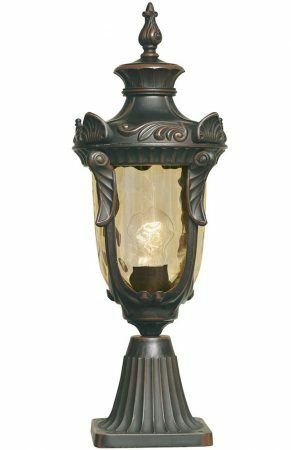 This Elstead Philadelphia 1 light outdoor pedestal lantern in old bronze finish with amber glass and rated IP44 features distinctive period style. Base mounted, with square base and fluted stem and detailed medium sized lantern. Finger mouldings around the top rim, leaf reveals, top finial and amber tinted glass creates the most wonderful warm, welcoming light which will not appear as stark as a clear glass. Exterior fittings must have an IP (Ingress Protection) rating which indicates the fittings ability to prevent solids and liquids penetrating the enclosure. The higher the number, the greater the protection. The minimum rating for an outside light exposed to the weather is IP23. 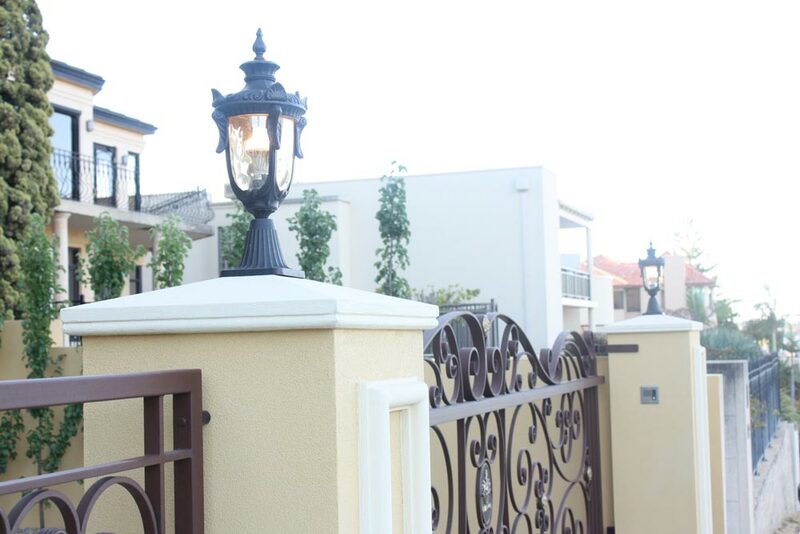 This outdoor gate post lantern is rated IP44. 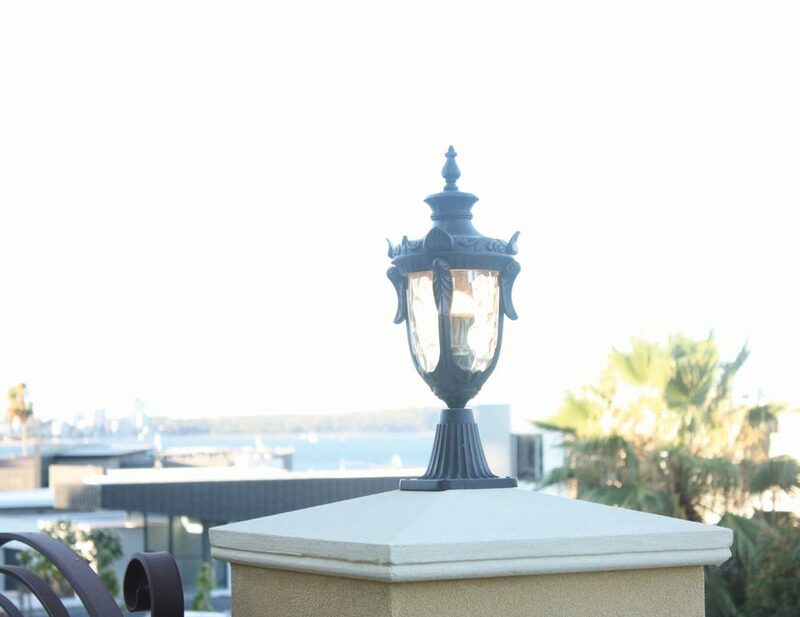 This exterior light is supplied by Elstead Lighting, a British company that specialise in the manufacture and distribution of quality decorative lighting such as the Philadelphia 1 light outdoor pedestal lantern in old bronze finish with amber glass and rated IP44 you see here.